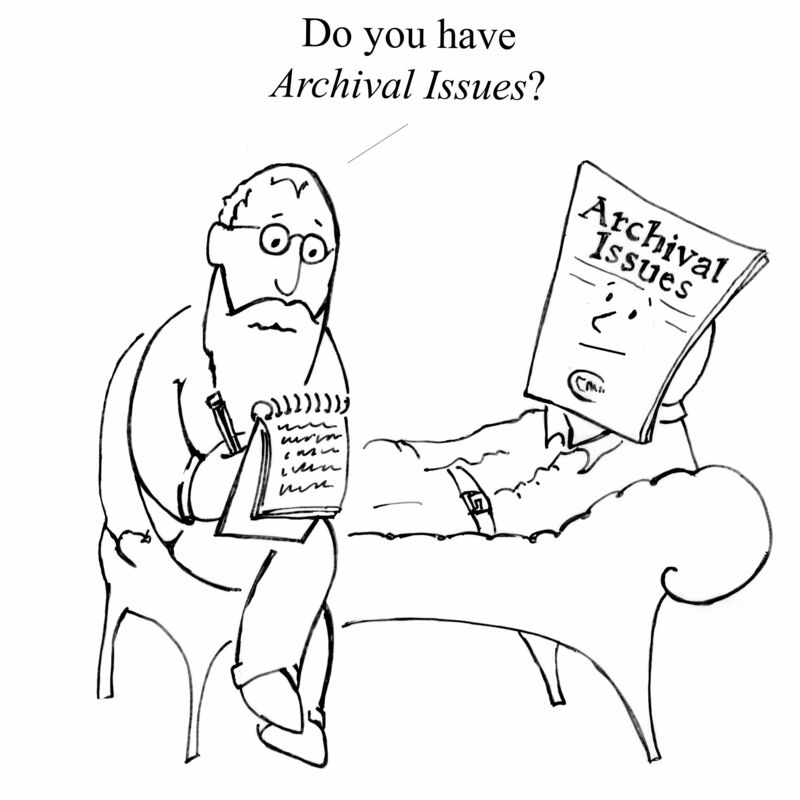 Archival Issues is published twice each year and has an international readership. The journal is one of the premier outlets for archival literature, and its scope extends well beyond the Midwest. The Editorial Board of the Midwest Archives Conference strives to publish articles that will interest and educate a broad range of information professionals. Acceptable topics for articles cover the full range of archival activity. The journal also publishes reviews of current books on archival theory and practice. Although Archival Issues publishes contributions from well-established professionals, the Editorial Board particularly encourages submissions from archivists who have not published previously. Editorial Board reviews of articles are conducted in a blind review process, and authors are usually informed of publication decisions within six weeks. Receive new issues of Archival Issues via membership or through a direct subscription. Click here to join MAC and enjoy the journal, the MAC Newsletter and other great benefits. Direct subscriptions to Archival Issues are most appropriate for libraries and out-of-region archivists. Subscriptions include no other benefits of MAC membership and are print-based only. The most recent issues of Archival Issues are available online for MAC members only. If you are a member, please log in to the site to access these issues. Access back issues of Archival Issues - for free - via the University of Wisconsin Milwaukee’s Institutional Repository (http://minds.wisconsin.edu/handle/1793/43546.) Starting with the inaugural issue of The Midwestern Archivist in 1976, this on-line version of the journal is open to all researchers. It is optimized for browsing but also allows for searching. MAC embargoes its most recent publications from the repository until one full additional volume has been published. If you have an idea for a submission, please contact Editorial Board Chair Alexandra A. Orchard by email at: [email protected]. Submissions must conform to the MAC Style Guide (pdf). The journal accepts paid advertisements. Advertisers should contact the MAC Vendor Coordinator for information on rates. The Margaret Cross Norton Award is given to the author of what is judged to be the best article published in the previous two years of Archival Issues. It is presented in odd numbered years. To underscore its commitment to new authors, and journal presents its New Author Award to the best article published in the journal in the past two years written by a previously unpublished author. The award is for $250, and is presented in even numbered years.